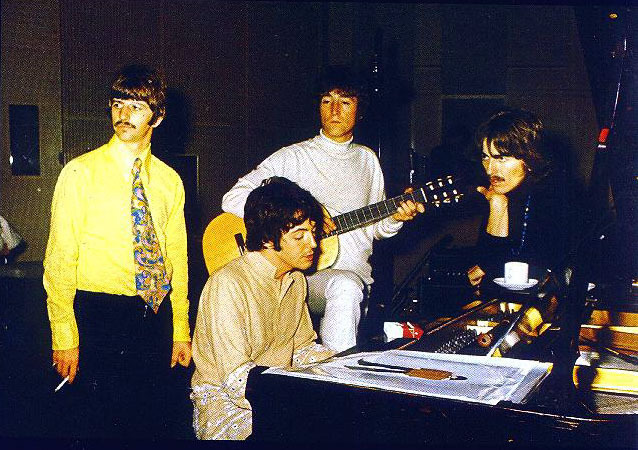 The Beatles spent the evening of September 25th inside EMI's Studio Two, in London. This was a 7pm to 3am session which resulted in the first proper recordings of The Fool On The Hill (Paul had recorded a demo back on September 6th). Three takes of the basic rhythm track were taped. 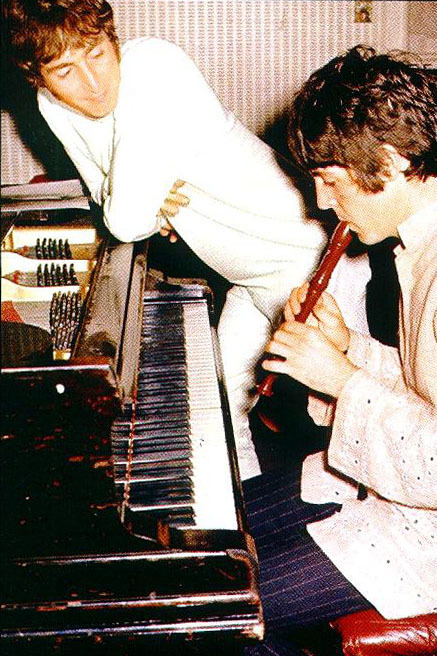 Harmonicas were played by John and George, and overdubs of a recorder were played by Paul. 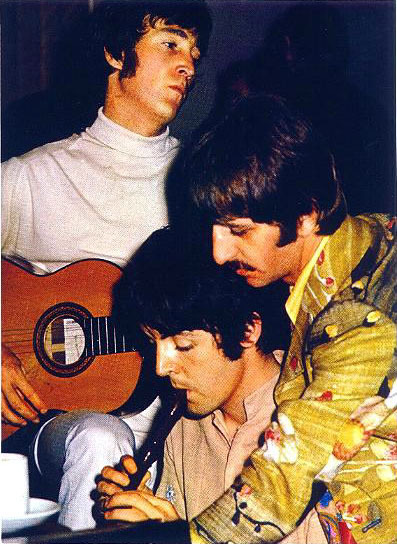 Drums and Paul's lead vocal were then added to take four (which was a reduction mixdown of take three). 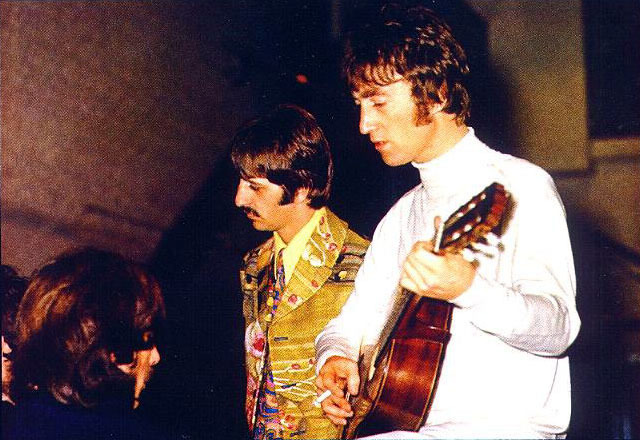 The results were not deemed good enough for release and the Beatles would eventually re-record the song from scratch for release on Magical Mystery Tour. However, this evenings completed outtake did eventually see release as part of the Anthology 2 double CD in 1996. 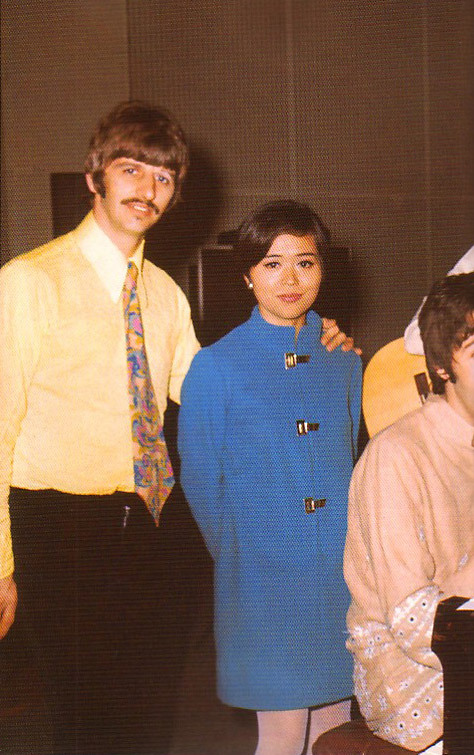 Early on during the session, the Beatles were visited by two members of the Japanese media, Koh Hasebe and Rumiko Hoshika. 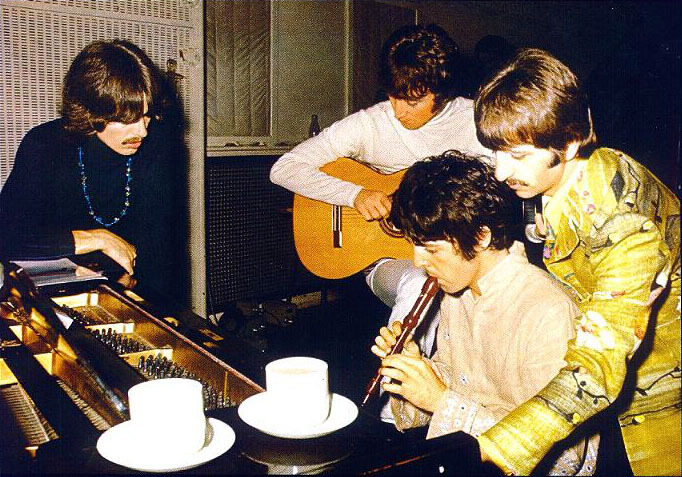 While the Beatles began rehearsing The Fool On The Hill, Koh took photographs and Rumiko recorded brief interviews with each member of the group. The complete tape runs approximately 12 minutes in length (when played at close to the correct speed), but unfortunately only survives in inferior sound quality. 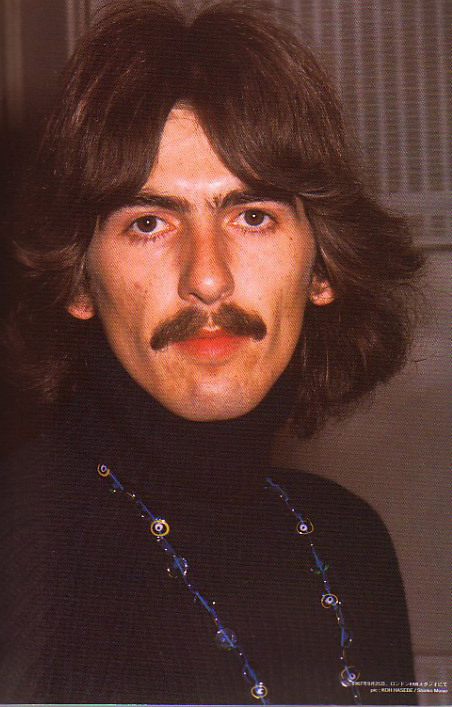 George: "Hello, readers of the (inaudible) magazine. How are you? Happy nineteen sixty-seven!" 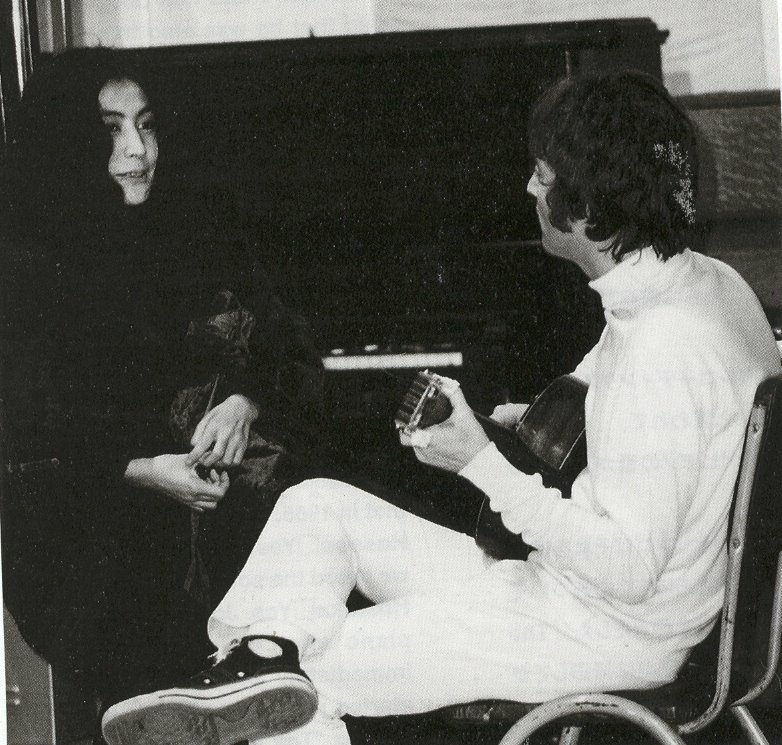 John: "Hello Rumi. 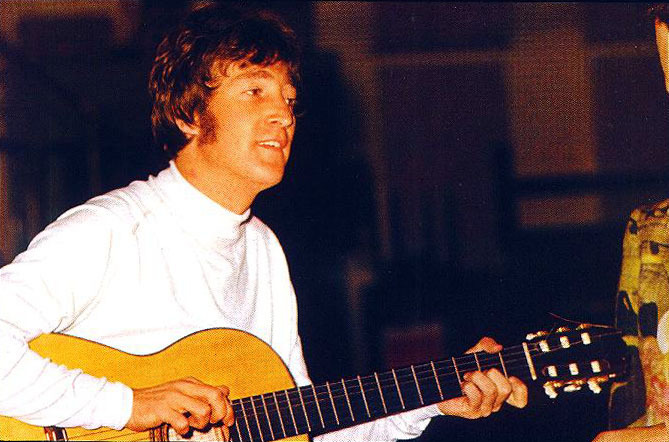 This is John playing 'hello again'. It's great seeing you. Good-bye!" 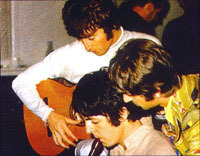 Paul: "Hello Rumi. 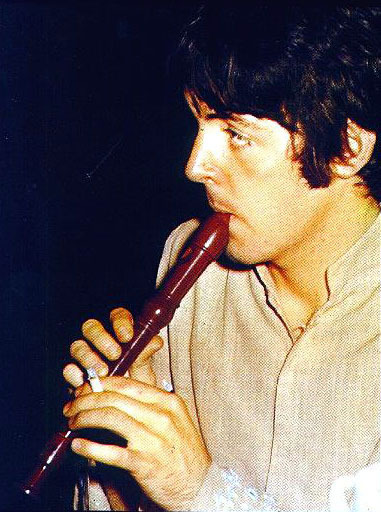 This is Paul McCartney speaking. I hope you can understand me because I'm speaking English. I know you don't speak very much but, uh...I'd like to say hello to you and all the people in good ol' Japan. And... uh, hope your okay 'cause we are over here." 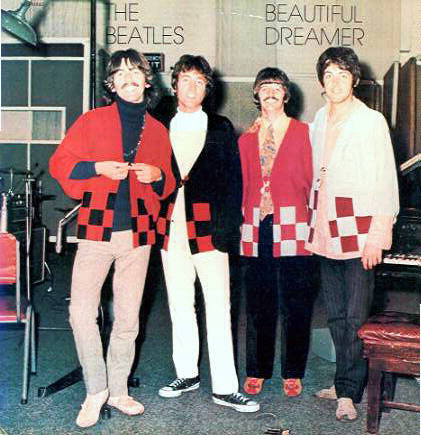 Koh Hasebe was even able to get the Beatles to formally pose for a picture wearing matching checkered sweaters. 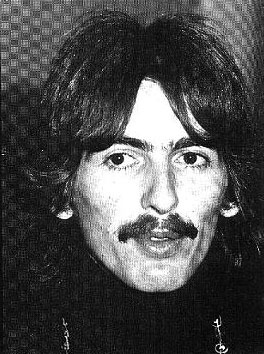 This unique picture was issued in Japan as the picture sleeve for the Hello Goodbye single. 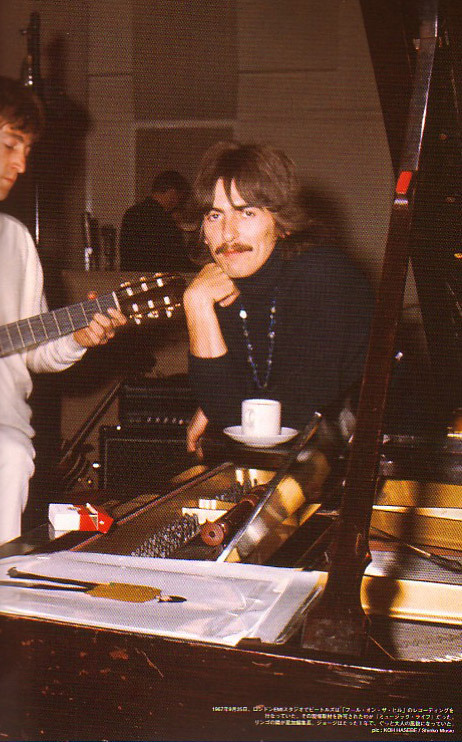 Yoko was also present this day. 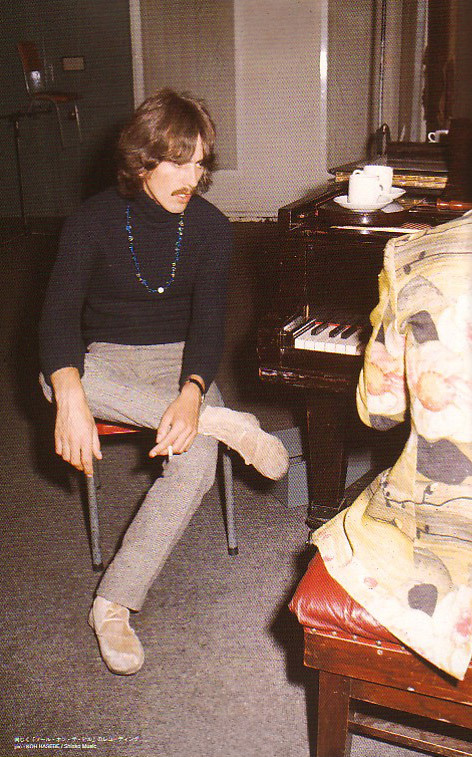 This was presumably the first time she attended a Beatles recording session. 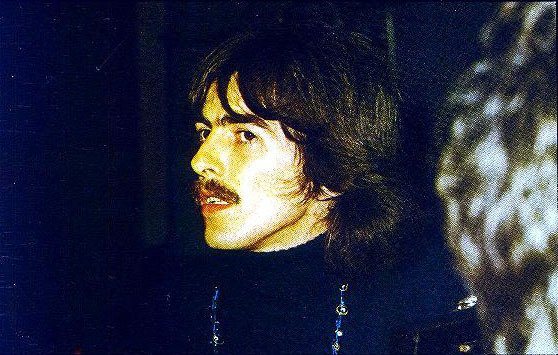 Back to the Beatles' Photo Sessions main page.